Historic Filipinotown is a neighborhood on the cusp of a major hipster overhaul. Just north of Echo Park, “Hi-Fi” is an obvious progression on the path of LA flippage. 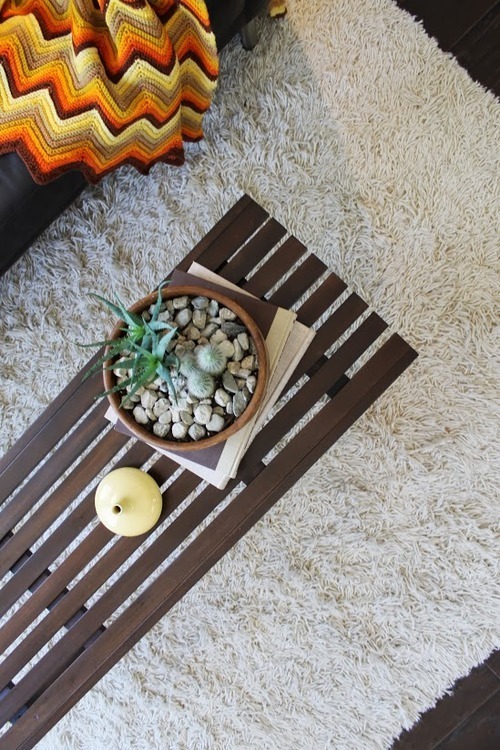 We had the joy of outfitting this supercute corner-lot home with a minimalist 70s vibe. 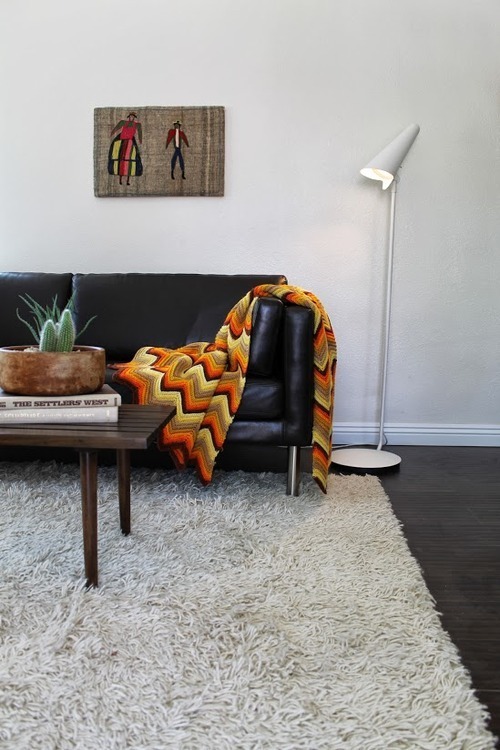 Thrift store embroidery art, shag rug and a MCM floor lamp are just neutral enough for the 70s chevron throw to shine. The spartan white walls needed some grounding, so we painted a cafe table matte black. 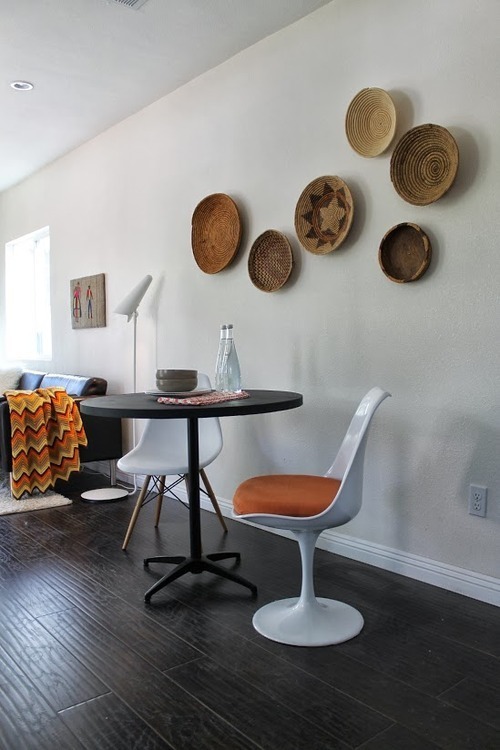 African plateau baskets create a fluid motion above the table and chairs, drawing the eye back and forth between the living and dining areas. Have a tiny nook you’re not sure what to do with? 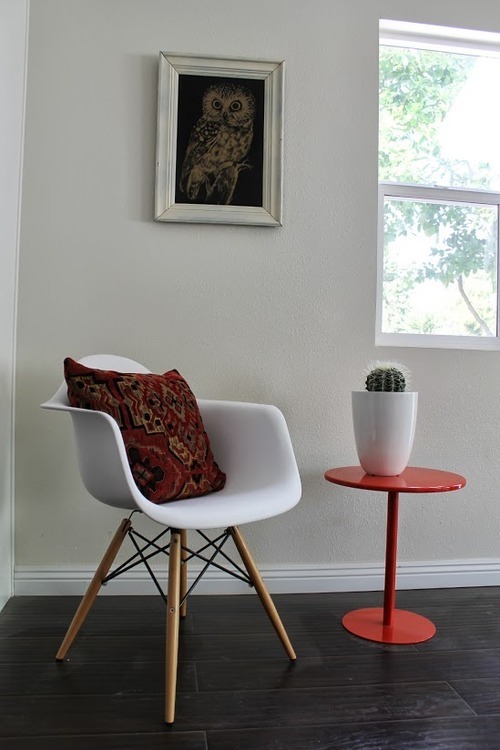 Add an Eames chair, a pedestal side-table, a healthy succulent and BAM, you’re done (bonus points for a slightly creepy owl print). 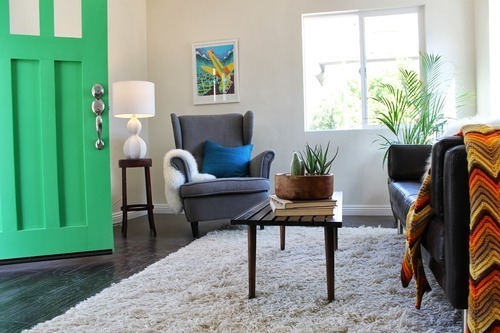 We still can’t get over the re-release of the Strandmon wing chair from IKEA. It’s small-scale but you’d never even know from the looks of it! 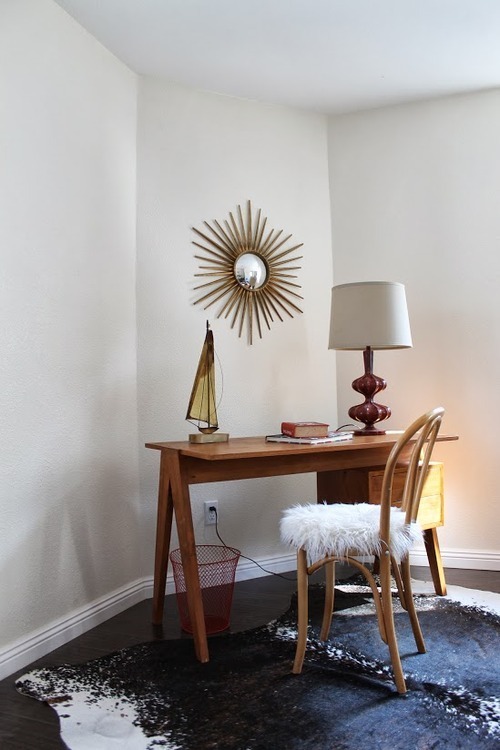 A Jonathan Adler-esque lamp sits atop its perfect foil — a rusty, vintage stool. Plants make a house feel like a home. We recommend succulents for those with brown thumbs like us (Although we’re trying). We got the vintage brass sailboat at Pepe’s Vintage in Silver Lake. Graphic throw pillows and a pin-tuck duvet from Cynthia Rowley. 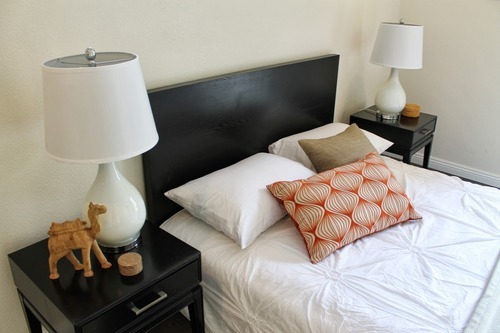 Can you believe those side tables came from HomeGoods?! 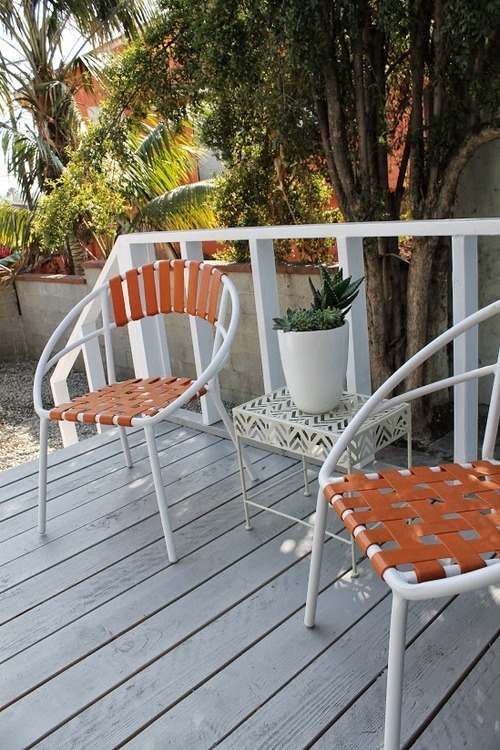 A tiny patio off the master suite cried out for some casual summertime seating. The orange banding ties into the gorgeous shade on the house behind it.